Hold on for some wild fun as your toy rocket takes off, all while electronic space music provides an intergalactic soundtrack. 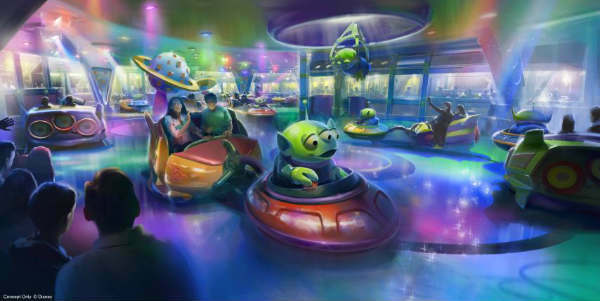 From what I’ve seen of the artwork, I’m guessing this rides will whip you around corners as it travels through the story. This family friendly attraction is sure to be fun for kids of all ages. Are you looking forward to riding it? I know I am!